We spend a lot of time and energy worrying about the tiny things and petty issues in life. But that is how the nature of humans, isnt it? 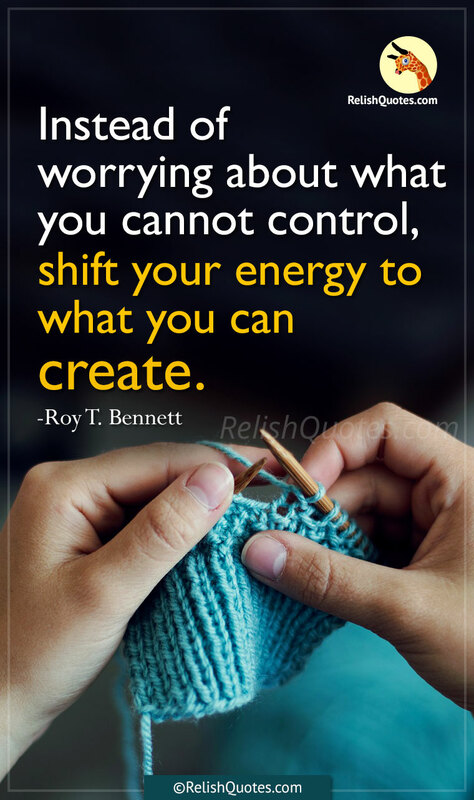 This inspirational quote tells us that we should focus our energy on the things that we can create and stop wasting our creative energy on useless matters of daily life. If we are able to concentrate our efforts onto something constructive then very soon we can achieve the unimaginable success!